With thousands of Martech tools available, we marketers are spoiled for choice. If you listen to The Big Event podcast, you’ll have heard Mike, Stefan and myself talking recently about a few of the tools in our marketing toolkit. I sat down with the rest of the Marketing team here at Akkroo to put together a list of our favourite tools – not the boring ones we have to use, but the ones that we really enjoy using and make our jobs easier. Here’s a list of the top ten tools in our Akkroo marketing tech stack. Realtime Board is a simple whiteboarding platform. Think of it as an infinite digital whiteboard, perfect for collaborating on-screen in real time. Realtime Board is one of those tools that’s gained popularity across Akkroo, because it’s so versatile. In the marketing team, it’s most useful for mapping out multi-channel marketing campaigns, and our lead funnel, to analyse bottlenecks, drop-offs and opportunities to optimise our lead flow. Beyond the marketing team, Realtime Board has become a favourite in our product department. Trello is a project management application that organises your projects into boards. In one glance, you can see what’s being worked on, who’s working on what, and where something is in a process. But our favourite way we use Trello is to keep track of ideas and insights shared by the wider Akkroo team. We encourage all of the Akkroo team to share any ideas they have for marketing or interesting/helpful research via Slack. Once submitted, it pops up in the Trello board so we can prioritise it and take action, making Marketing a more collaborative, less prescriptive process. Opteo is software that automates AdWords tasks, making it easier to manage AdWords accounts and optimise performance. We use Opteo to manage our Paid Search campaigns. It helps us spot areas for improvement within our campaigns, to improve conversion rates and other opportunities. From identifying new key words to remembering to set up negative keywords, Opteo identifies changes to help optimise our ads, and helps us prevent mistakes. We’ve found it really easy to use, and it’s saved a lot of time managing our campaigns day-to-day. To make even more use of Opteo, we’re working to integrate notifications with Slack, so we can implement campaign changes even quicker. Spyfu is an analytics company that enables you to search for your competitors and see what keywords they’re running adverts on in AdWords. SpyFu is a tool we use less frequently than the others in this list, but offers valuable insights when we do use it. We can see what keywords other businesses are targeting, or how the keywords they’re targeting has changed over time. We can also see what our competitors are bidding on, and use that to identify potential gaps in our own campaigns. That said, because we only use SpyFu occasionally, we know we’ve only scratched the surface of this tool – and we’re looking forward to learning and using it more this year. Drift is a conversational marketing platform, offering a new way for businesses to connect with their potential customers in real time. Drift has become a key touchpoint for anyone visiting our website. We use it to help people from the second they arrive, whether that’s giving them our latest content, organising a demo or helping them get in touch with our support team. GatherContent is a content operations platform that helps teams organise, structure and manage the production of written content. GatherContent has become the home for all our written content – before we started using it, we’d have documents in Dropbox, Google Docs, or saved locally, which meant our content was disorganised and difficult to manage. GatherContent is a very customisable platform, so we’ve set up a workflow for each stage of our content process: from briefing and drafting, to review and publication. This makes it easy for the marketing team to get an overview of progress on various projects, and it’s clear when pieces are ready for review. Overall, GatherContent has provided the platform that’s helped us create and manage a scalable, repeatable content creation process. Backtracks is a podcast analytics and hosting platform. It gives unprecedented detailed audience data including who, what, when, where, and how they’re listening to your podcast – across different platforms. We publish The Big Event podcast across various providers. To avoid the pain of having to upload episodes to each individual platform each time, Backtracks handles this for us. We upload one file, and it syndicates across the different services we use. But the analytics is our favourite thing about Backtracks. We can see all our data in one place, rather than having to collate numbers from multiple dashboards. This makes it easy for us to get an overview of our podcast activity. Wistia gives us a great way to manage all the videos shown on our website. It makes it really easy to update videos and apply changes across the site without needing to change any code – the updates pull across automatically. The insight tools are really useful too: they give us a great understanding of who, how and where people are viewing our videos, as well as identifying which videos are most popular, and where people drop-off when watching. This has been really helpful in terms of optimising our videos to maximise view time and to make sure we’re providing value right through our videos. 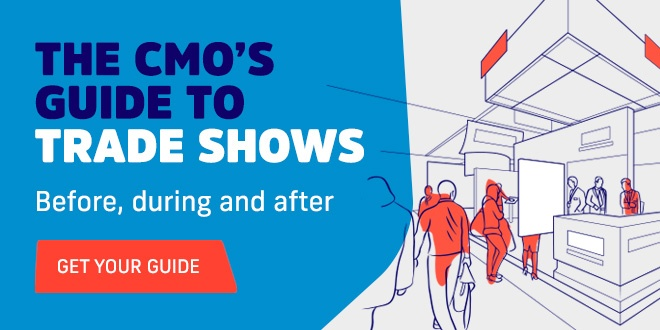 Akkroo is an event lead capture solution that helps exhibitors accelerate revenue from events, by capturing quality leads and connecting with your marketing stack. We use Akkroo to capture leads every time we exhibit at an event or trade show. The sales team create a lead capture form that asks questions that will be relevant to the event and help them get the information they need to follow up after the event. We then map that form to HubSpot, so that the leads we collect at the event automatically flow through into our systems. This means we can follow up with leads straight after the event, rather than waiting to get badge scan data back from the event organiser, or for marketing to type up a stack of paper forms. Teamup is a shared online calendar, that helps simplify organising, scheduling and communicating events and activities. At Akkroo events form a crucial part of our marketing strategy. We use Teamup as a central calendar for event planning, to give visibility for all departments and help us manage our time and resources. We use it to keep track of all our events: ones we’re exhibiting at, ones our customers are exhibiting at for us to attend to lend a helping hand, customer events we’re planning, and conferences for learning and personal development. Everything is colour-coded into different categories, so we can easily see different types of events, ones that are yet to be confirmed, and when people are on holiday. We’ve also integrated it with Slack, which is an easy way to alert the whole team of new events in the calendar or changes to an existing event. Teamup will be a great help as we scale the number of events we attend and exhibit at, and has already greatly improved visibility into our events schedule.